Our Lady of Victories Church 1 Fairfield Road Market Harborough Leicestershire LE16 9QQ. 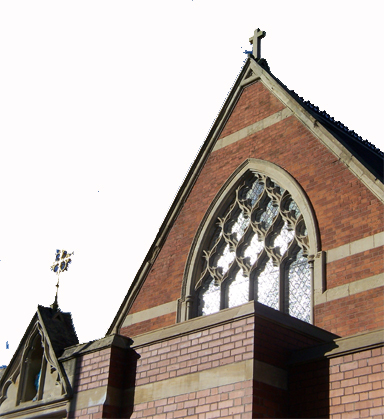 Our Lady of Victories Roman Catholic Church is situated very close to the centre of Market Harborough located on the corner of Fairfield Road and Coventry Road. The Presbytery adjoins the Church. Also adjoining are three Social Rooms that are used for other Worship and activities – Octagonal Hall, De Trafford Room and Kavanagh Room. Next to the Church is The Catholic Social Club on Coventry Road and just slightly up also on Coventry Road is St Joseph’s Catholic Primary School. Dating back to the 13th Century, Market Harborough offers excellent commuting links across the midlands via the M1, A1 and A14 and equally excellent links with the mainline railway and East Midlands Airport. Market Harborough is approx 14 miles from Leicester on the A6, 15 miles from Northampton on the A508, 11 miles from Corby on the A427 and 13 miles from Kettering on the A14. We are blessed to have so many of our parishioners involved in the many volunteer groups in our parish. They are working for charitable and deserving causes, to extend the mission of the Catholic Church and, in accordance with the social teachings of the Catholic Church, working to protect the moral and social welfare of all in our community.